This 6.2 mile hike climbs through a forest, loops around a meadow, skirts the shore of Lake Ilsanjo, then returns through woods to the trailhead. Although Annadel is a busy park, heavily used by equestrians and cyclists as well as local walkers and runners, it's worth putting up with the crowds. 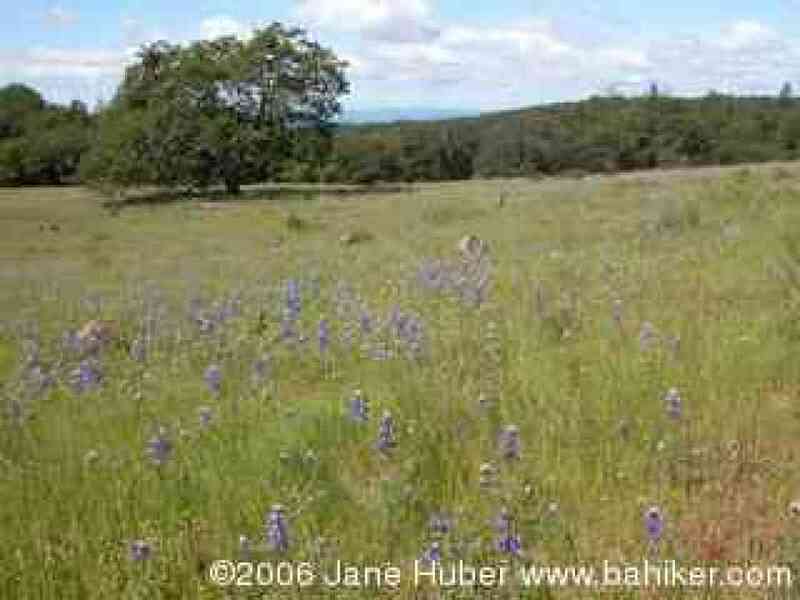 Gorgeous flowers in spring, and good wildlife viewing year round. In October 2000 I wandered around the Cobblestone area of the park, which at the time wasn't well signed. I haven't tried the hike again since, but here's the record of my experiences. 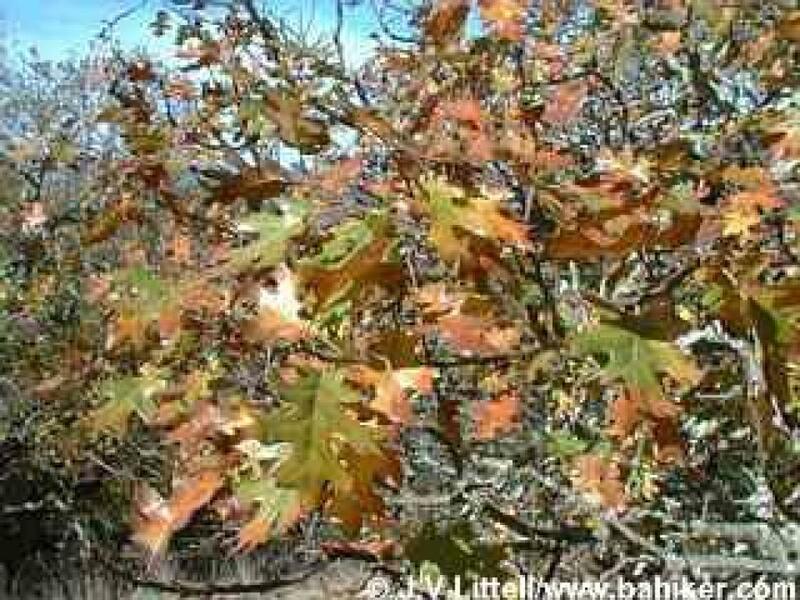 Pretty in spring, for flowers, and autumn, for black oak foliage. I'm not giving you much to work with here -- I got lost on this hike, so you're perhaps best advised to look at the photos and explore if you like, or try the first hike (above).